NEDARC - What are the EMSC Performance Measures? Who is Your State or Territory Contact? Have You Heard of PECARN? What are the EMSC Performance Measures? 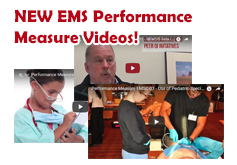 On the left hand navigation bar, download the new 2017 Performance Measure Implementation Manual, read more about the process for developing the new EMS Performance Measures and find links to some helpful Performance Measure tools. The New EMS for Children Performance Measures Implementation Manual has been released! The EMSC program performance measures are a set of standards that were developed to measure long-term progress at both state and national levels of the EMSC program in key areas of pediatric emergency care. The measures were developed in accordance with the Government Performance and Results Act (GPRA), a results-oriented approach that requires federal agencies to establish performance measures that guide decisions and monitor program success. A systematic, uniform process of focusing and measuring program activities and promoting permanence of EMSC programs at the state level. designated individual who coordinates pediatric emergency care. system that are able to stabilize and/or manage pediatric trauma. 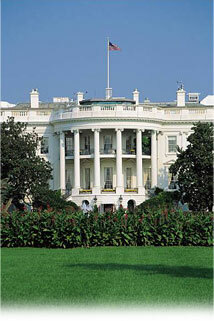 state or territory that have written interfacility transfer agreements that cover pediatric patients. established permanence of EMSC in the state or territory EMS system. The degree to which the state or territory has established permanence of EMSC in the state or territory EMS system by integrating EMSC priorities into statutes or regulations. By 2027, EMSC priorities will have been integrated into existing EMS, hospital, or healthcare facility statutes or regulations. Visit the EMSC Innovation and Improvement Center for Additional Performance Measure Resources.